At Duckback Farm we sing while we work, that's why we say it is "Made with Music". Here in Belfast, Maine we grow the highest quality garlic for seed and table. 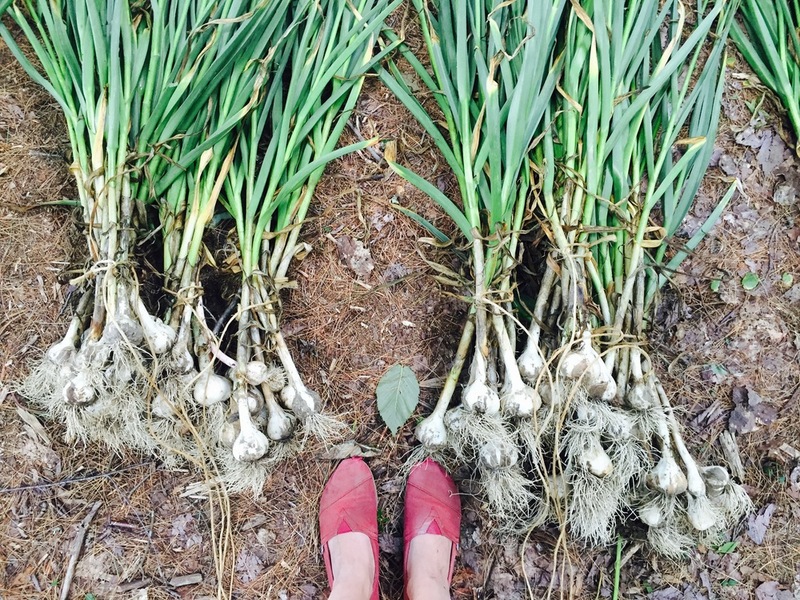 In addition to selling tried and true varieties like "Music" and "German Red", we will over time develop new breeds of garlic specifically suited to the growing conditions of the northeast. We also plan on growing culinary herbs and tea, which we will sell at our concerts and workshops. And we'll explore other products that work well with music, selling them here through our website. The sales of these products go to support more worksong research and practice, and general living expenses. Thanks for buying what we've grown... you are now co-producer, singing right along with us.